So the U.S. lost against Belgium on Tuesday, but goalie Tim Howard, who made a record-tying 16 saves during the game, basically came out on top. Seriously, 16 is officially the most saves made in a World Cup match since 1966. Plus, Howard was seriously classy about his achievement after the game, lifting up his teammates and remarking that he was just doing his job. It’s heartbreaking. I don’t think we could’ve given any more. We left it all out there. We got beat by a really good team. … Dream falls short, but this is an incredible group and … I’ll never forget this night. "Tim Howard's legs to the rescue," said the commentator after one particularly harrowing save (one of 16, that is), and we were all like, "Thanks for finally getting on our level, commentator." We'll never forget your night, Howard, you goal-saving minx you. And neither will head coach Jurgen Klinsmann, who had this to say in a news conference after the game. What Tim played tonight was just phenomenal, it was outstanding. ... He had an absolutely amazing match tonight and you just can give him the biggest thanks in the world. You know, at least this is America. Land of the Free. Home of the GIF. Birthplace of the Vine. 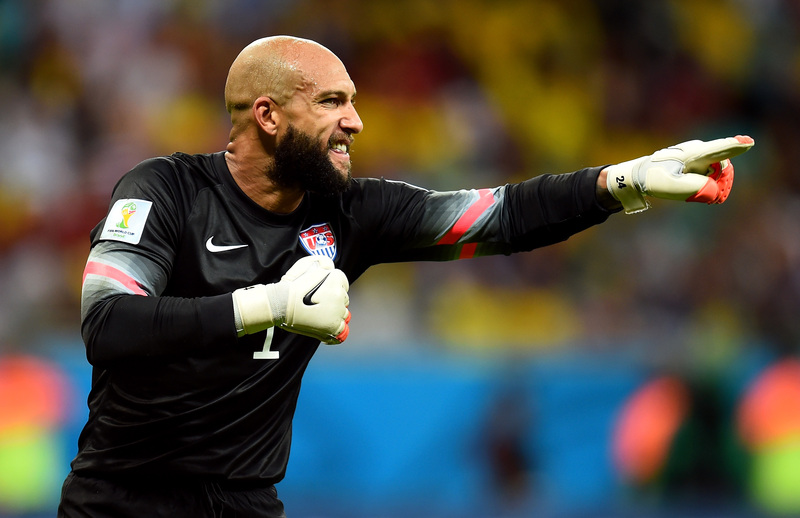 We can enjoy Tim Howard's goals on a six-second loop over and over again! This is what Howard looks like when he wakes up in the morning. Real Tim Howard is even better. This is a real goal Tim Howard scored once. From his goal. Don't even try it, from Tumblr user girlmeetsbrush. Finally, our fave: Tim Howard, Game-of-Thrones style, as a stand-in for the statue of Titan in the city of Braavos.